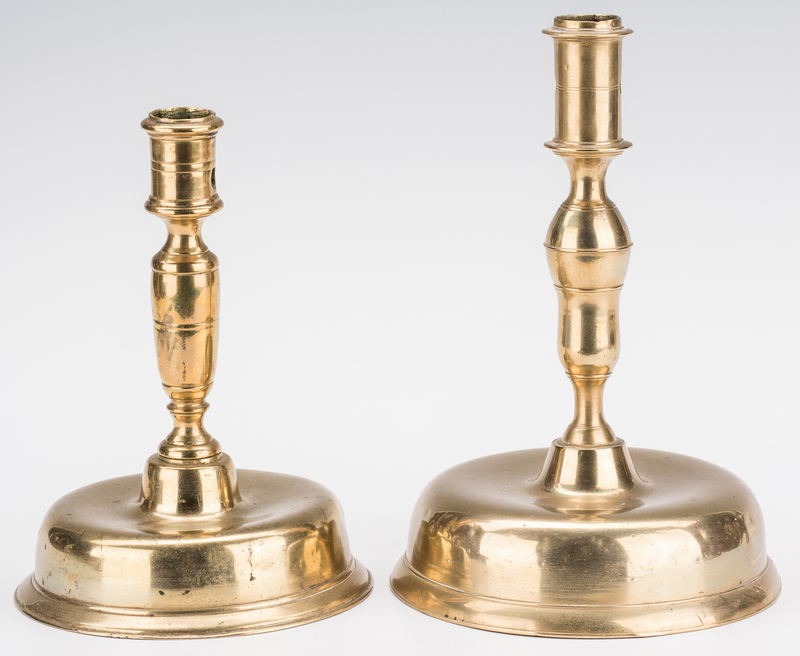 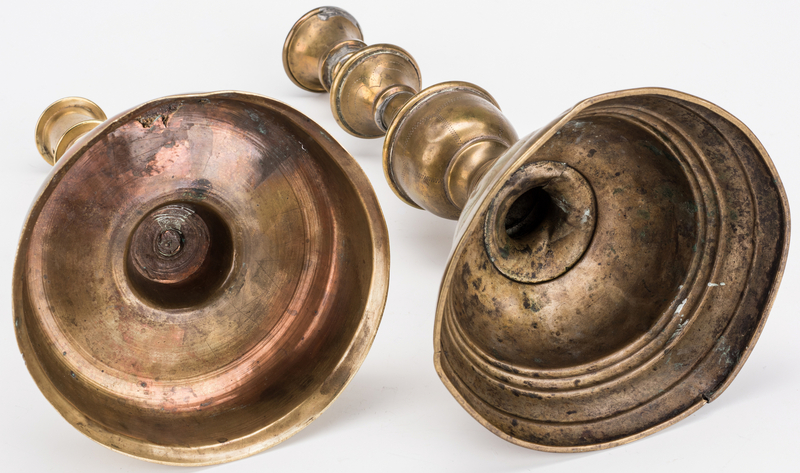 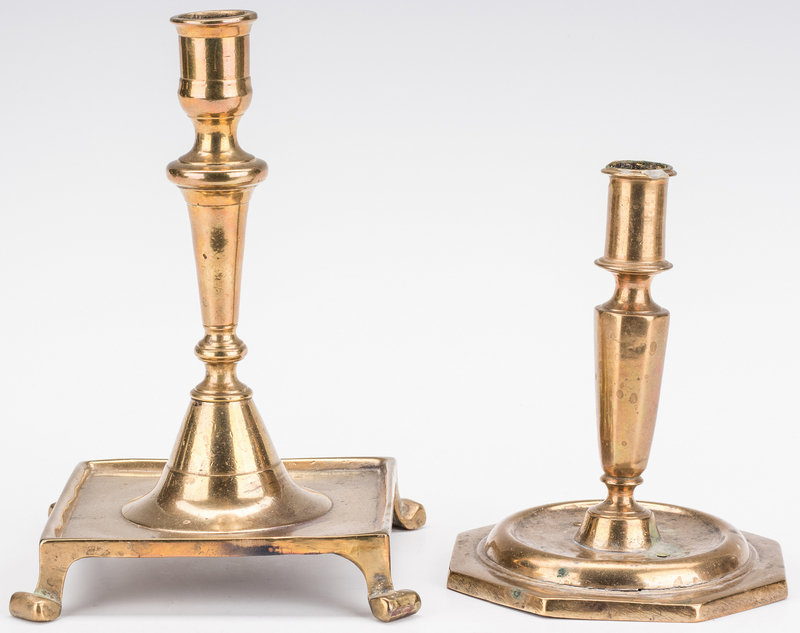 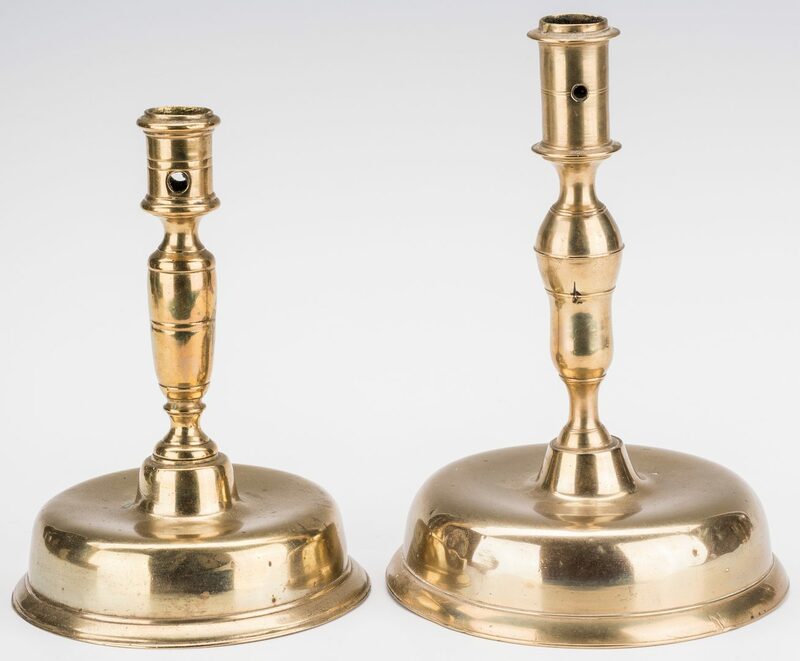 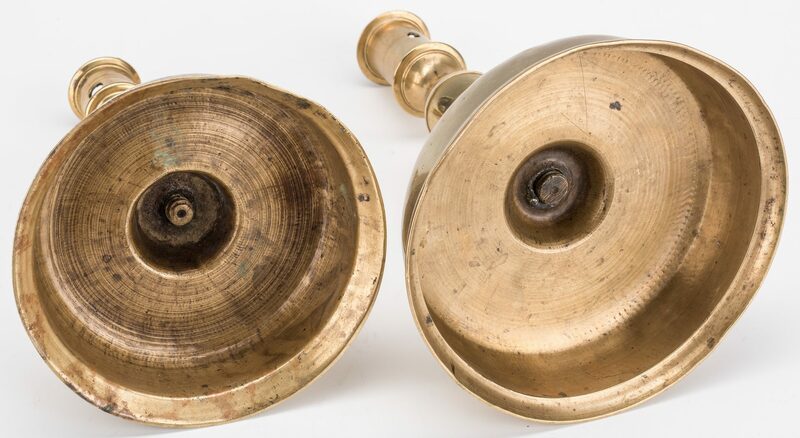 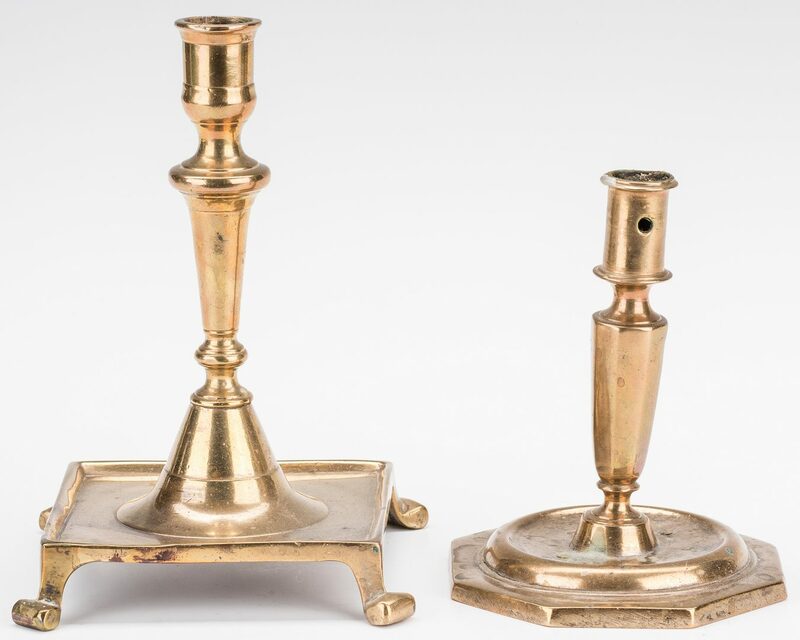 Grouping of 6 early brass candlesticks including three (3) with large round bases, one (1) with an octagonal base, one (1) with a square footed base and one (1) with a tall dome base and engraved decoration to the stem and base. 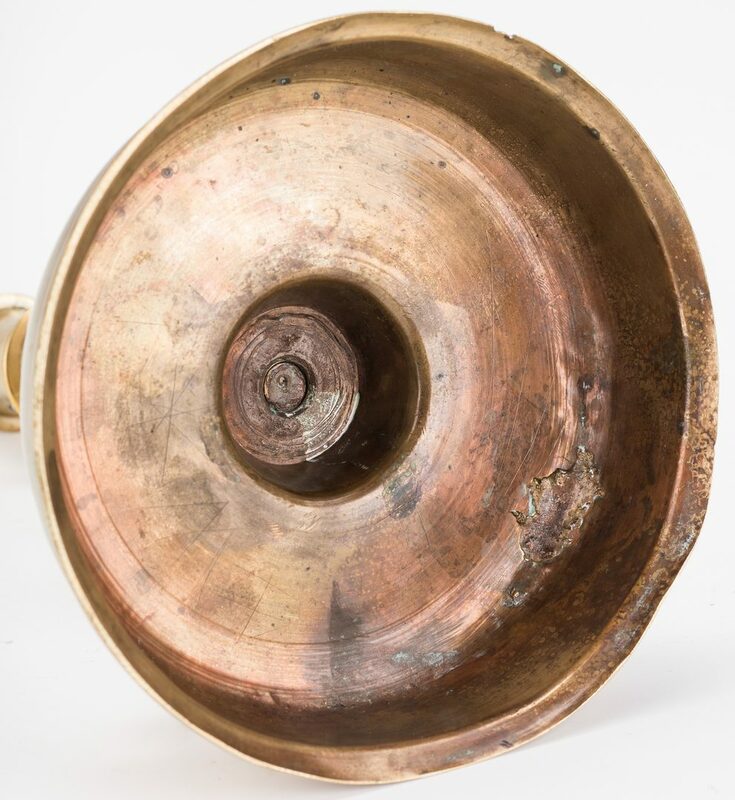 Three (3) have economy holes in the sockets. 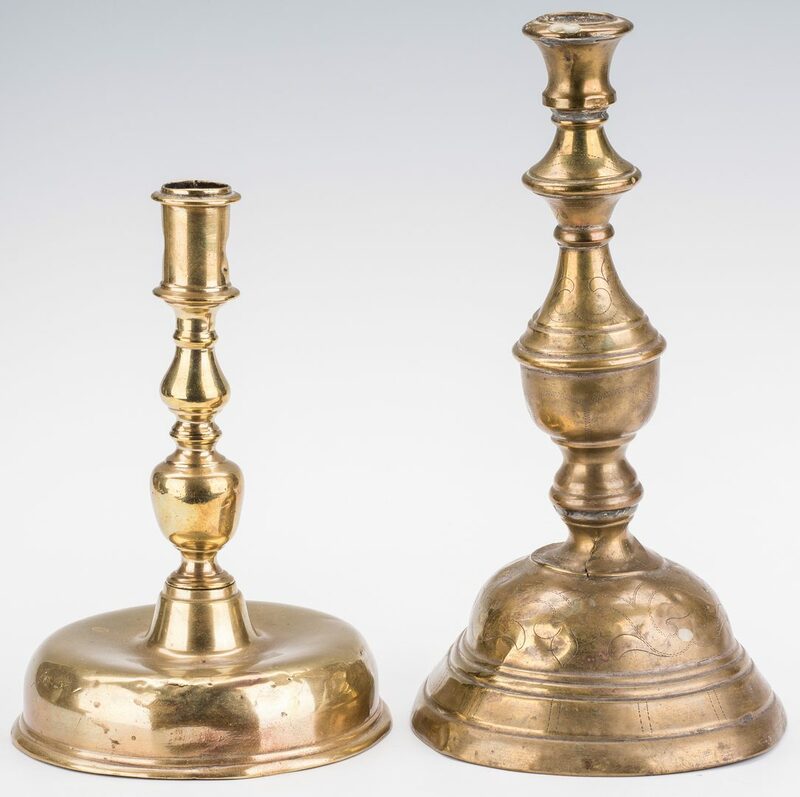 Ranging in size from 5 3/4" H to 11 1/4" H. All likely Continental and date from the 17th to early 18th centuries. 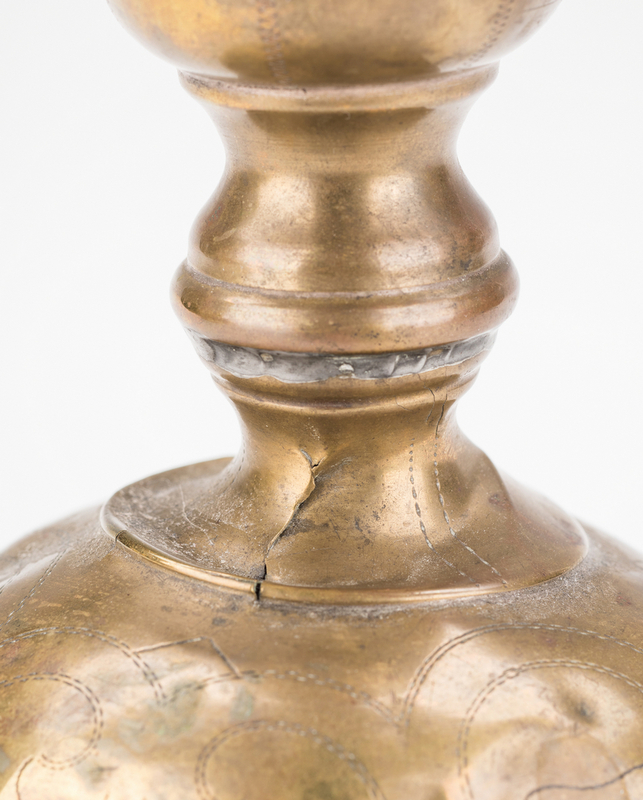 Provenance: Collection of Wilma and Jack Murray, Knoxville, TN. 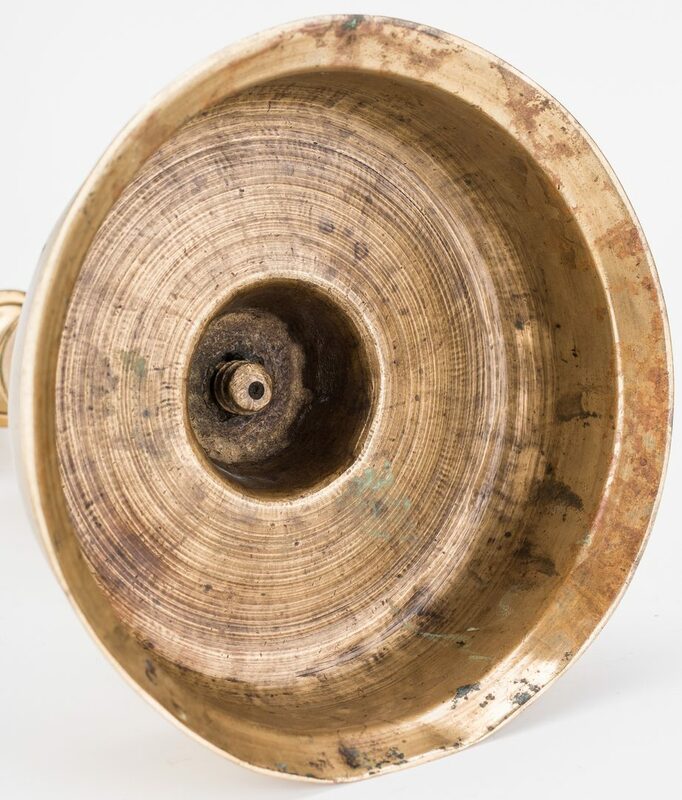 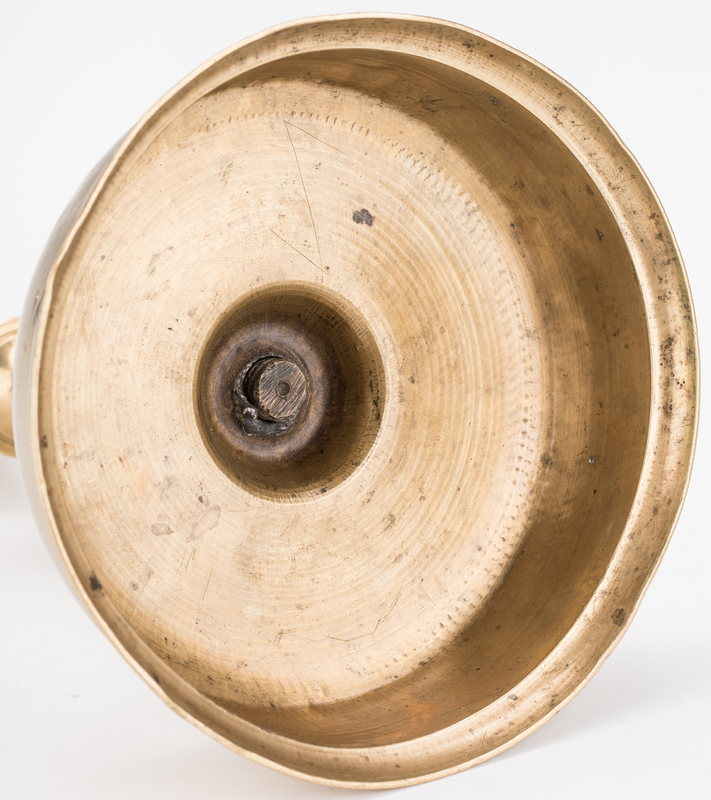 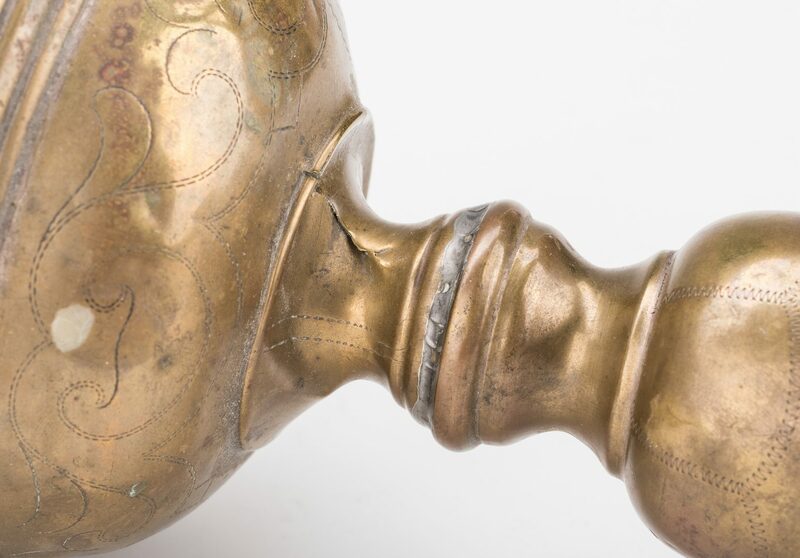 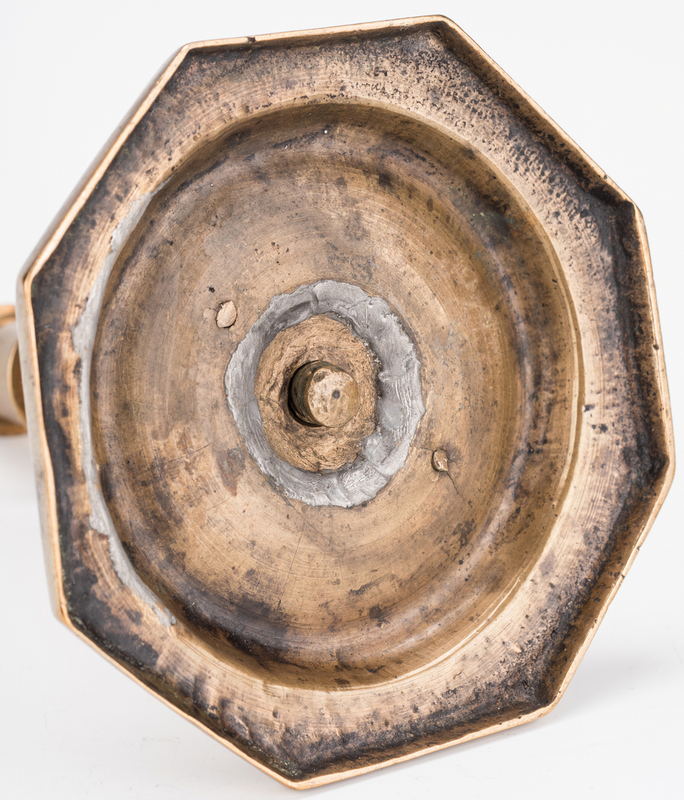 CONDITION: Large domed candlestick with denting and uneven base. 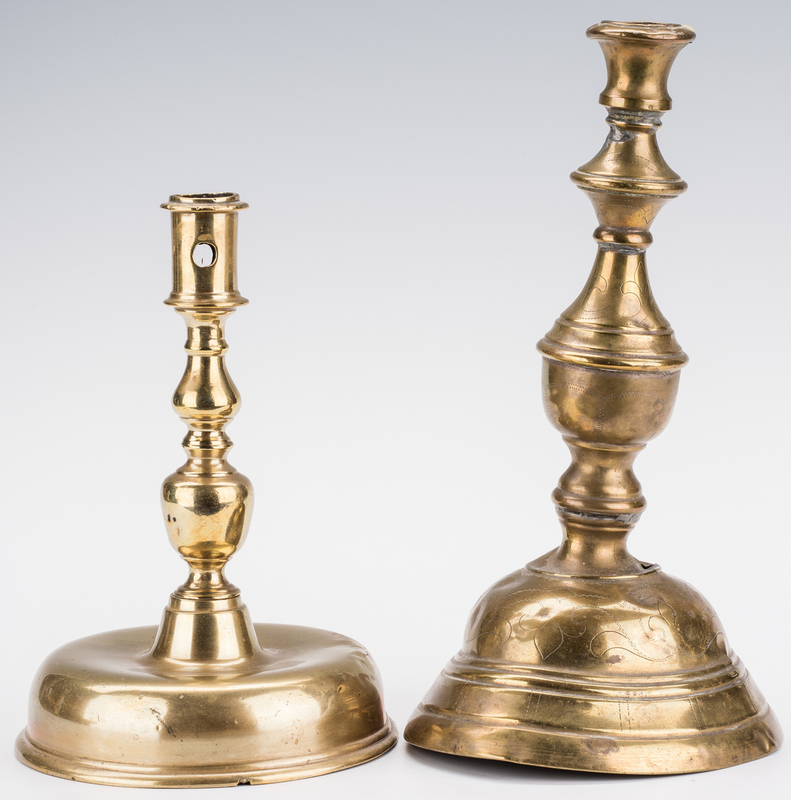 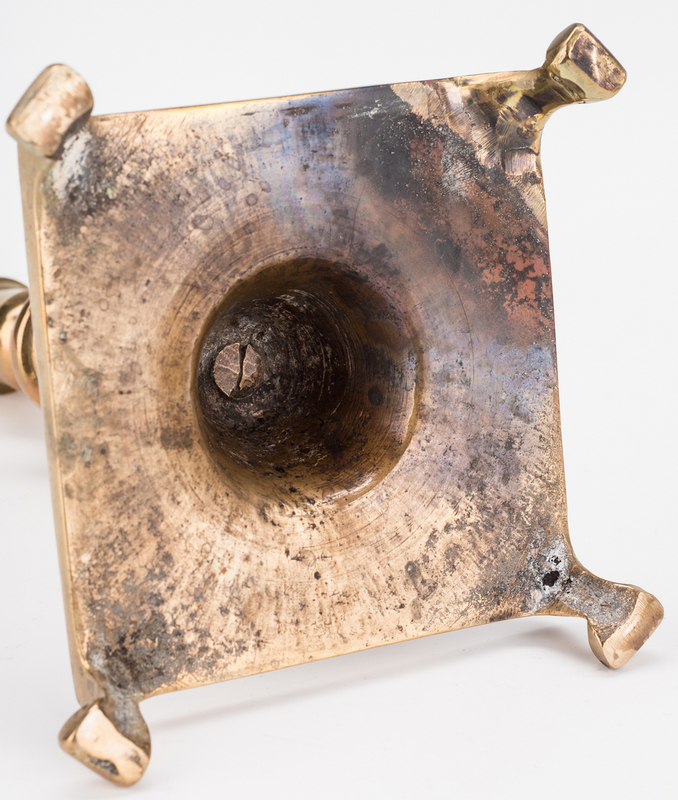 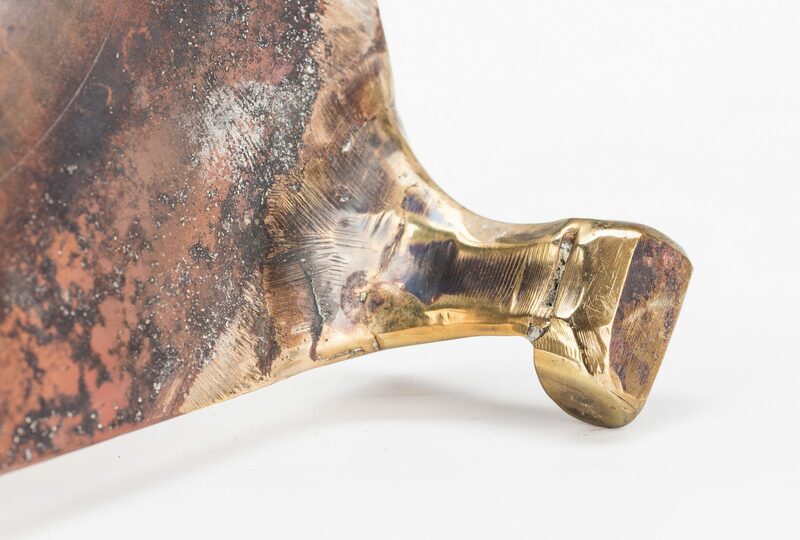 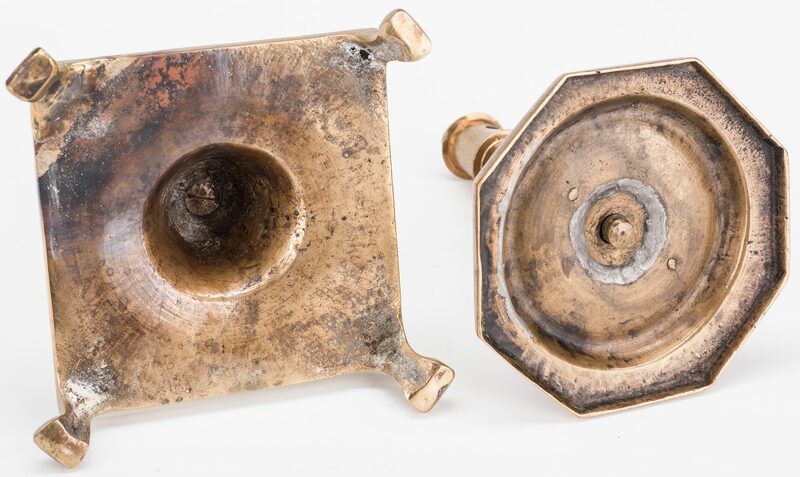 Remaining candlesticks overall good condition with general wear and oxidation.